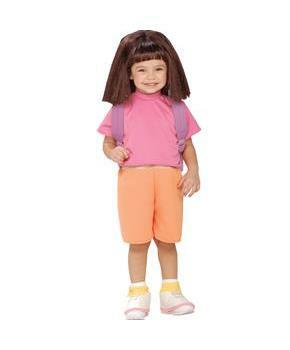 Includes: pink shirt with attached orange shorts, boot tops and purple backpack with character face. 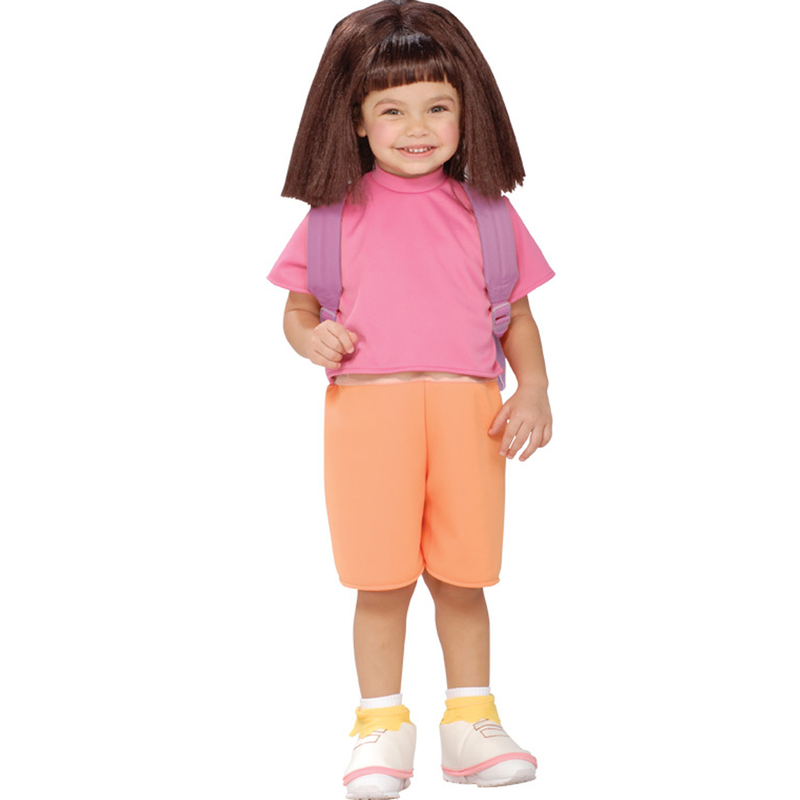 This is an officially licensed Dora The Explorer costume. Care Instruction: Hand Wash Cold, No Chlorine Bleach, Dry Flat.